We Promote Your Business in a Big Way! 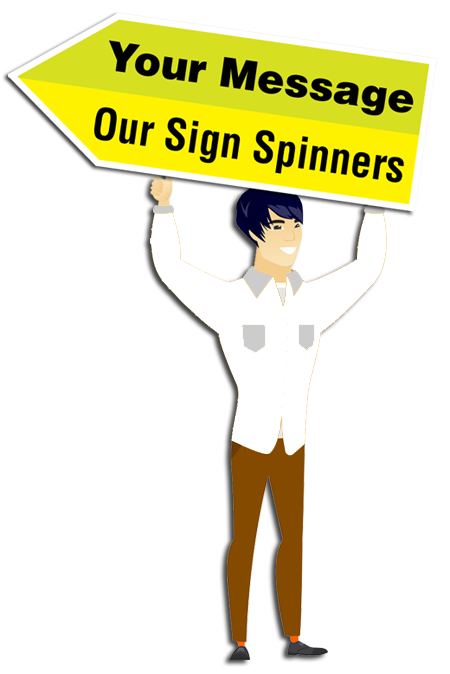 We are the Nations most reliable source for Human Sign Spinners! You’ve seen them on street corners spinning & twirling signs shaped like an arrow. Call them what you want, Human Sign spinners, Human Directionals, Sign Twirlers, Human Billboards, Sign Walkers, Human Sandwich Boards… there is no denying that this type of advertising is very effective at driving traffic for your business or event! Studies have shown a 40-50% increase in traffic with the use of a Sign Spinner. No job is too small or large for us! You can have confidence knowing that your spinners are where they need to be as our team continually monitors them by utilizing state of the art geolocation tracking technology. Have Peace of Mind knowing our area supervisors also check in to ensure peak performance, while making sure our human directionals are placed in the most effective location to drive traffic. Want to Increase Traffic? Get a Quote! All Directions Media is a marketing company dedicated to big ideas in marketing. We know that one of the best ways to reach a large demographic is with visible marketing techniques that command attention. It is an excellent way to not only improve sales but also to brand your company. All Directions Media has an elite crew of energetic and professional sign twirlers. You can rest assured – our human directionals will be placed in the best location to drive traffic and revenue to your business. We ensure this by area supervisor monitoring, and geo location via smart phone. Unlike billboards, our sign walkers will really catch attention! Have an Event? Try Our Blitz Campaign. 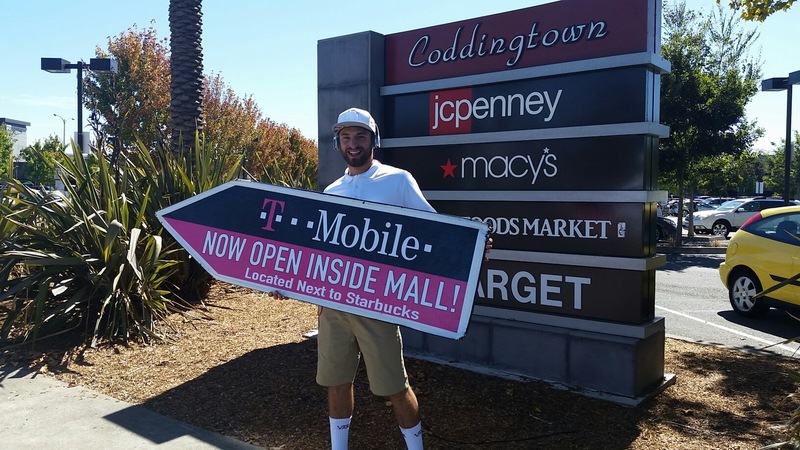 What’s better than a Sign Spinner? Get it all – Banner Signs, Cloud Busters, Flyer Distribution – and all at Reduced Pricing!